The composition framework of layout is formed by driftwood and stones. Stem plants play another important role there to flesh out the framework to form the composition. Enjoy the beauty of plant clusters creating various compositions. between the red and green stem plants . 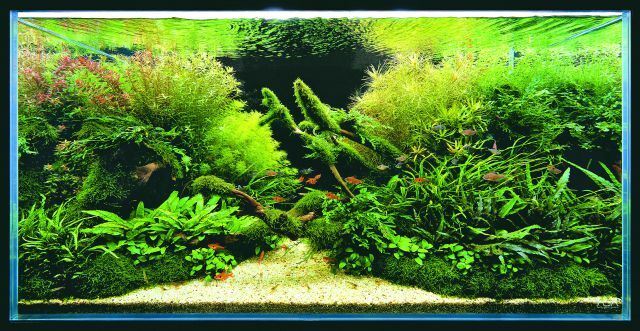 Bushes arranged by several fine stem plants can give a larger impression of the aquascape. This produces a magnificent scale of the layout. Large red leaves of Alternanthera reineckii planted in the center stand out in the layout by being surrounded by fine stem plants . 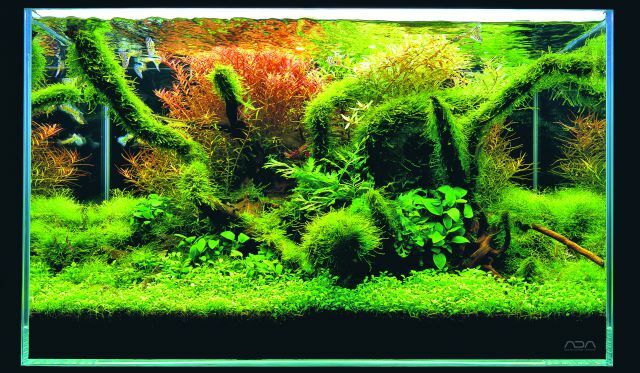 The impression of the convex composition is emphasized by planting Rotala Rotundifolia to the left of the layout center.